I'm so proud of myself. I just figured out what the "ROW" stat means. (Wins) - (SO wins). Haha. I worked it out all by myself. IF "SO" is shootout as opposed to shutout, then yes. Its regulation and OT wins. Bobby Orr turns 65 today. Happy birthday, Bobby. redwill wrote: I'm so proud of myself. I just figured out what the "ROW" stat means. (Wins) - (SO wins). Kelly Chase = Guy Fieri. He'd have to wear the glasses on the back of his head. Anyone else notice the Caps fan who couldn't figure out his own teams logo and is wearing a red wings short? Reports out of philly radio station (and they are never wrong) stating that Bryz was benched last night for falling asleep in a team meeting. Coaches and teammates are in full blown deny everything mode. Just bringing this up to mention that if you are on twitter and you do not follow @notbryzgoalie30 you are really missing out. The bloom has fallen off the timeout? IT'S A HOCKEY NIGHT IN HOUSTON!!!! Headed out to see the Aeros vs Oklahoma City Barons. First AHL game in a long time for me. Aren't the Aeros moving or folding? I thought that was the Rivermen? I thought it was both? Aeros probably moving to Des Moines. What a pathetic sports town this is. Aerozzzzzzzz.... that game put me to sleep. 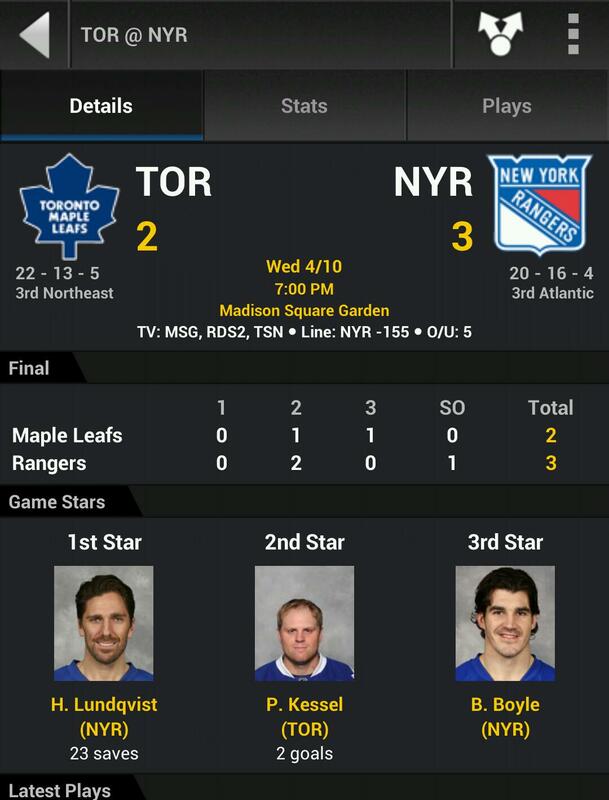 nocera wrote: I love Kessel's headshot. Relive BJ's fist vs. DiPietro's face.